Replace your overused or misplaced power cable, or just get some extra cords for convenience. 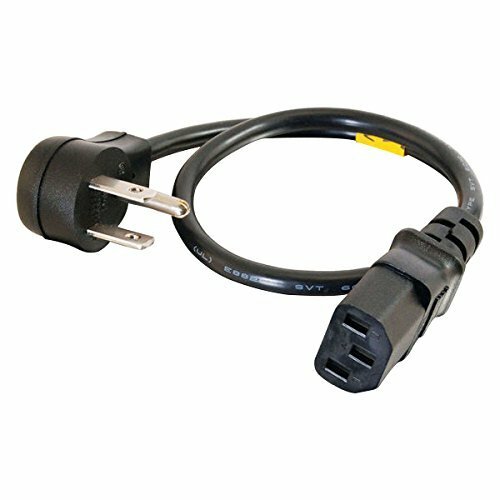 This universal power cord is designed to work with most PCs, monitors, scanners, printers and other devices that use the 3-pin shroud power connector. Plus this heavy-duty 18 AWG cord features a fully molded design for maximum durability and long life. The female connector plugs directly into the device while the male connector plugs into a standard outlet. If you have any questions about this product by C2G, contact us by completing and submitting the form below. If you are looking for a specif part number, please include it with your message.